Ready to declutter your home? I’m sure already know what you’re going to do. But do you know what you should not do when decluttering? I’ve done some decluttering recently and let me tell you, that’s a tough task; yet it’s so freeing once you’re done. It’s like getting rid of a burden that’s been haunting you for ages, and you didn’t even know about it. When it comes to doing it, you shouldn’t need much thought about it, right? I mean, what’s there to purging your old stuff? But from my own experience, every time I do it I realize that planning beforehand means a huge deal. Knowing what you’re going to do and what you’re not going to do will make it so much easier to go through with it. And you know, I find that knowing things you should NOT do, helps much more than just following some to-do list. So after decluttering my place and finally being happy about it, I’ve made this list of things you should not do when getting rid of your old stuff. I hope it helps! You might want to get over it as quickly as possible. But that’s not such a good idea, especially if you have a lot of stuff piled up. It’s easy to get discouraged quickly, you might get emotional in the process, you might start getting second thoughts about some items. It’s hard to keep up with the plan when you’re biting more than you can chew. Keep in managed. On the other hand, you shouldn’t take it too slow either. Consistent decluttering over time does help you keep your stuff managed. However, if you just declutter one drawer at a time, you might end up with clutter growing faster than you’re getting rid off things. So don’t take it too slow, try decluttering in categories, get rid of your old clothes one day, then purge your old shoes. That way you’ll keep the process managed but get things done too. Never give up. If you’ve started it, finish it. There’s no sense in keeping your home half-decluttered (is that even a thing?) Don’t leave thinking you’ll finish it tomorrow. You’re just making it harder on yourself. Set up tasks, and complete them. This is a big one. 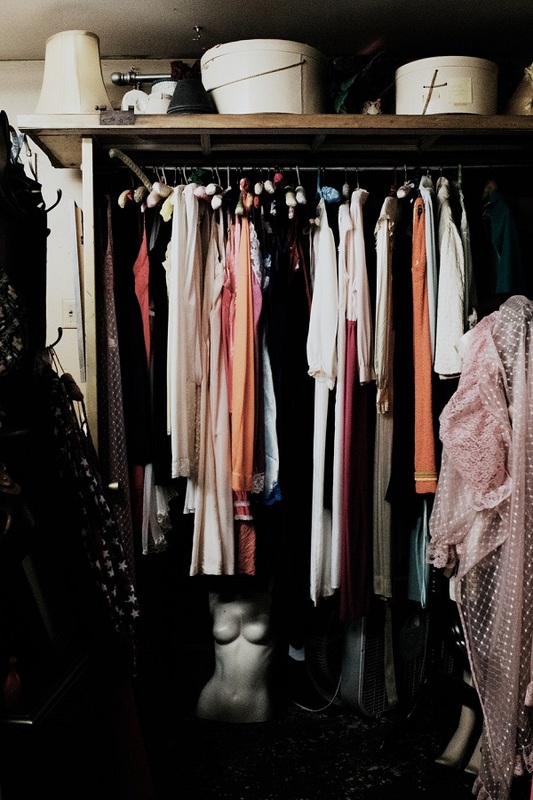 I know that some things are special, they have memories attached to them, and you might “need them someday.” If you want a clutter-free home, though, things must go. If you’re not using or wearing it – purge it. It’s as simple as that and you have to be strict about it. Trust me, you’ll feel so much better and you won’t even remember you had those things. So you’ve bought that expensive purse but only used it once, and it’s been collecting dust and taking up space for years. But it’s expensive! No, it’s not. Not anymore, anyway. Just get rid of it. Forget about what you’ve spent on it. Donate it or sell it off online. Do you really need all those spatulas in the kitchen and those small boxes in the closet that need bigger boxes to store them? Keep things of the same kind to the minimum and get rid of everything else. Just because you need something, doesn’t mean you need ten items of it. When you pack things for donation or set them aside to throw away, do it immediately. Don’t just leave them around so you can take them out later – they just make more clutter. But by no means don’t store it way in the garage and forget about them. So you might need a few storage boxes or baskets or some extra hangers to organize your stuff better. But don’t just rush into buying them. I know, there are some pretty boxes that you can use for storage and add some decor accents at the same time. But you won’t know what exactly you need before you declutter. In other words, don’t try to organize things before you got rid of everything useless. That won’t end well. It goes with trying to do too much at the same time as well. You don’t want to end up making a bigger clutter than it was before. If should go without saying, but ask before you throw it away if the thing is not yours. You might think your spouse is not using it and you’re probably right. But you know what happens when they see their stuff being thrown away. It’s an emotional thing – it’s a decision that a person has to make themselves. Speaking of emotional. Decluttering is a well thought out process and it’s totally mechanic. You have to be a robot about it. Don’t start doing it if you feel tired, irritated or just in a bad mood. It will not end well. It will never be perfect. Decluttering and organizing is a continuous process. You’ll be doing it all year round. It’s important to complete the tasks you set for yourself and move on. It keeps getting better, I promise. So finally it’s done and you feel so good about yourself. You have all that free storage space now. Why not reward yourself with something new? Don’t do that. It’s how clutter is made and you don’t want to start building it just when you’re done decluttering. You’ll use that space in no time anyway, believe me. And feeling free of the burden is a reward in its self!